Engineers at the Technical University of Berlin have developed a form of concrete which renders conventional thermal insulation systems unnecessary. Ultralight concrete combines a chic exposed concrete look with the energy requirements for external components - a novelty. 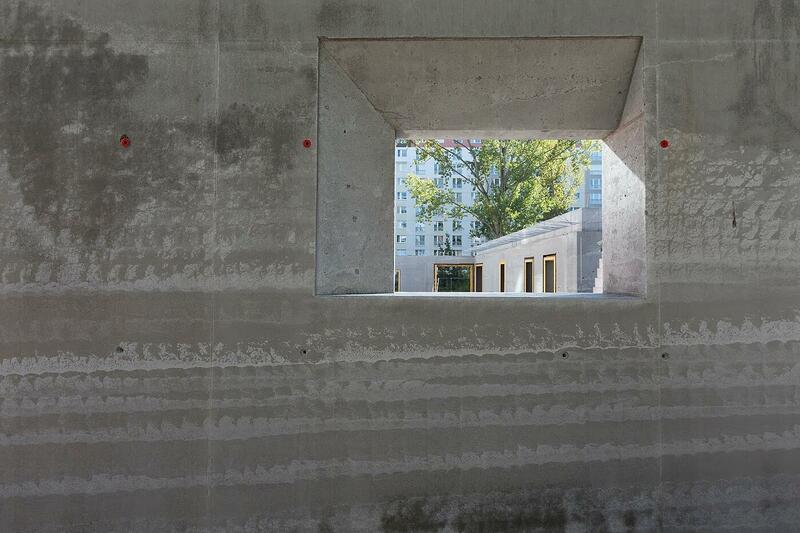 Initial projects have already been completed with this innovative building material in Berlin. 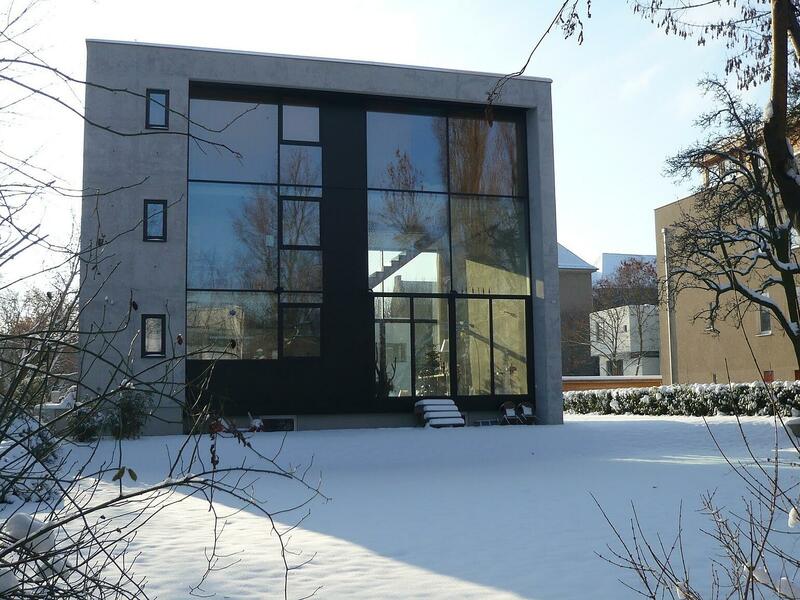 The detached house in Berlin Pankow was designed by the architects, Clemens Bronnen and Amanda Schlaich. It has been inhabited for the past six years and simultaneously serves for the research of Maik Schlaich. The professor at the Institute of Civil Engineering at the TU Berlin and his team developed the new ultra-lightweight construction material which was used to make the building envelope. "We have been observing how the material behaves in the house over time - whether cracks appear and whether it insulates as desired," says Schlaich. He has come to the conclusion that: "In the future, house builders will be able to dispense with insulation material because there is an alternative". The new, ultra-lightweight concrete has the robustness and smooth look of foamed concrete and the insulating effect of porous bricks. How did the Berlin construction engineers manage to do this? They mixed additives which ensure that clay, cement and water distribute evenly. An added volume of silicate dust enables cement and expanded clay to stick together better, meaning that stability is greater. The result is innovative lightweight concrete which is highly insulating and which is also strong enough for outside walls. "We now have the perfect mixture for different grades, so that the infra lightweight concrete can even be used for high-rise buildings. The material is ready for the market", Schlaich is convinced. However, the new "miracle concrete" also poses challenges: In order to get along without additional insulation, the walls have to be 50 to 60 centimeters thick. In addition, ultralight concrete is more than twice as expensive as normal architectural concrete. "At the same time, you save on paint, heat insulation and the expensive disposal of insulation materials when it comes to a demolition, so that in the end it is about the same," argues Schlaich. The TU engineers also believe that the use of prefabricated parts could reduce the costs even further. Gruber + Popp Architekten are also convinced that "the additional costs will be negligible in the end". 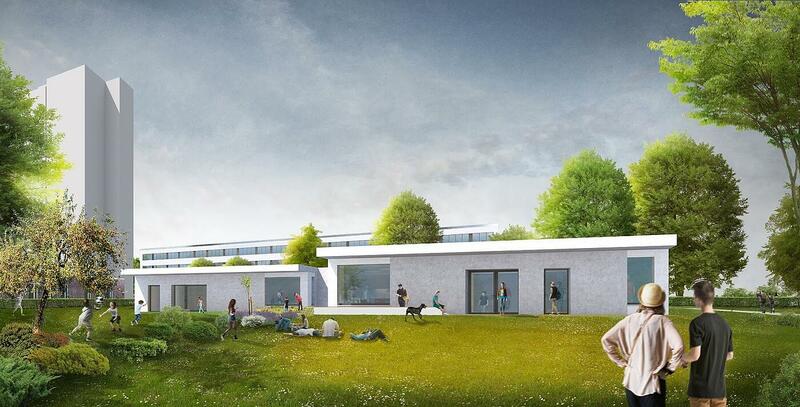 The architecture firm, which specializes in sustainable construction, planned a new recreation center for youth in Berlin Lichtenberg. The two-story building of ultra-lightweight concrete is planned to be completed in 2018. "A square meter of ultra-lightweight concrete wall will cost no more than a thermal insulation system wall and is much cheaper than a wall with stone for cladding or even interior insulation". Ultra-lightweight concrete 600 (ILC 600 – a bulk density of 600 kg/m3) was poured on site for the monolithic single-layer concrete construction of the "Oasis". A passive house standard was achieved with a wall thickness of approximately 50 cm. "Thanks to the homogeneous volume, a storage mass is created which counteracts overheating in summer and cooling at night in the winter in a simple way,” says the architect. 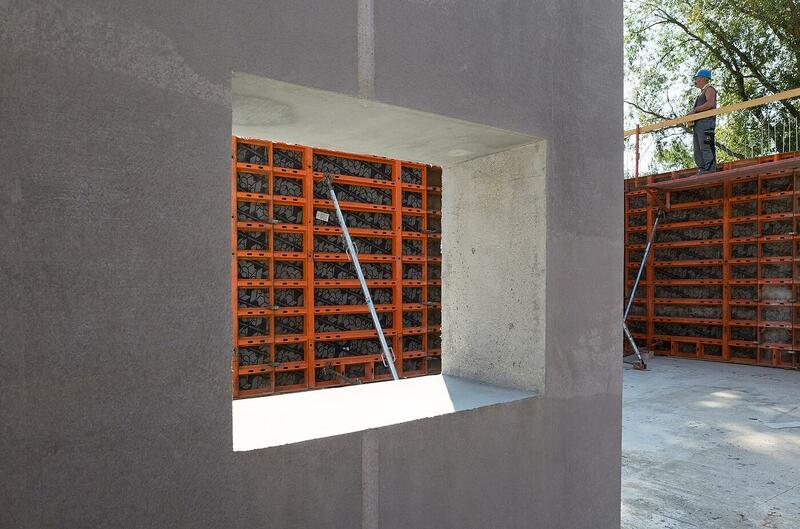 Gruber + Popp value ultra-lightweight concrete because it is extremely recyclable and a "green" material. "Because it is a mineral building material, it can be removed and completely re-used". Do you want to know more about lightweight concrete and its spectacular possibilities? Read here how it can be used for futuristic roof constructions.